To couples who find it difficult to take out the 'we time' in the hectic lifestyle we are in today, there are places which are easily accessible and offer respite from our chaotic life. We are sharing top destinations you can choose for a surprise escape into the blissful trip. Follow the destinations, plan an itinerary and get an awesome self-drive car from Volers and you are good to go. Enlisted, are a few destinations at your glance that befits every couple's travel diary. Thanks to the hype around destinations like Nainital and Mussoorie, this quaint city of Bhimtal can still offer calm comfort and space to you. 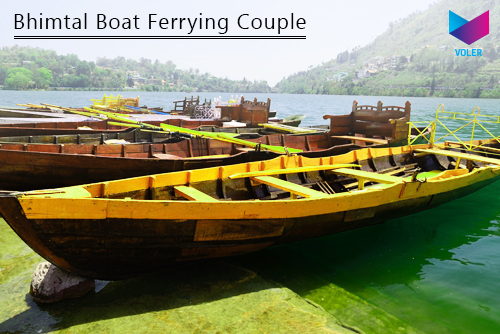 At the height of 1400 meters above sea level, Bhimtal is a scenic spot surrounded by rich flora and fauna. The main location gives a 'touch-feel' of living on an island since the Bhim Lake, sits exactly between homely estates and local residential areas. It is an outright lover's paradise extending majestic views of heavenly bayous cozying up with the mountains, from almost every window of the stay. It is also cheaper than the 'much crowded Nainital' and offers the most amazing homestays with a fine range of local delicacies. 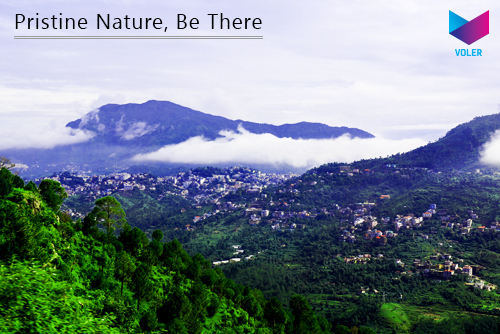 Self-drive your way to this less crowded city and also plan for in & around Almora. Destinations like Naukuchiyatal, Sattal, Ghodakhal Temple and Nainital are at a half an hour distance from this place. Located at mere a 250km from Delhi, Lansdowne makes for an instant traveling destinations when you don't have time for much-elaborated traveling. It is one of quietest destinations for couples that doesn't boast much for itself. The lush green pine trees scanted over gigantic mountains relax you in a way nothing else does. 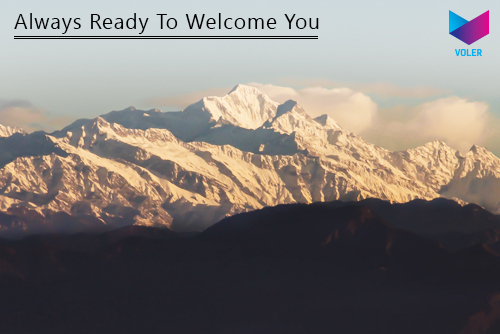 At an elevation of around 1600 plus meters above sea level, Lansdowne is relatively less crowded as compared to other hill stations and hits best for its affordability. It can be traveled overnight at an easy journey of 4-5 hours. Chitkul is situated around the Pir Panjal range of Himalayas. This destination is undeniably a spot that you won't be able to resist for the rest of your life. This small village is scarcely populated & much unheard of. Still, it can be a life-changing experience for a couple. Chitkul won't offer you an opulent stay but would bestow you with dream-like feel that would last lifelong. It is the last inhabited village of Kinnaur Region and subsided by Indo-China border. This hill station is well connected with amazingly motorable roads and far less cruised than others. And for a remote place like this, rented cars are the best options to facilitate a hassle-free journey all along. Neemrana Fort is a captivating travel destination that can be progressed in a day's time and an apt destination for a mesmerizing romantic car drive that lasts around 3 hours on Delhi-Jaipur Highway. It is situated at a distance of just 122 km's from Delhi, and it is a hot spot for couples living in Delhi - NCR region. 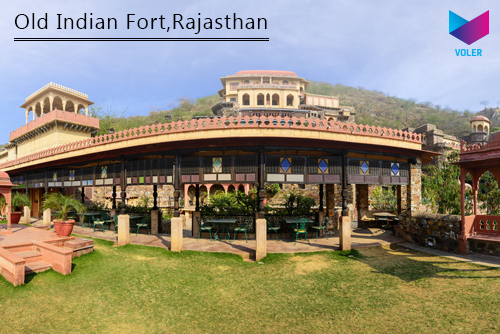 Dripping in ecstatic magnificence, Neemrana Fort can be a pit stop to travel Sariska Tiger Sanctuary and Kankwadi Fort. It is one of the oldest heritage architecture preserved in all its glory and later converted into luxurious Neemrana Fort Palace and hotels. It offers some splendid colonial interiors and furnishings, preserving its historical charisma well. A place 'too hard to miss' for every couple wanting to add to their travel repertoire. Desirable places for a couple who wish to strengthen their bond with a spiritual connect. Vrindavan is also home to the eternal love saga of Radha & Krishna. 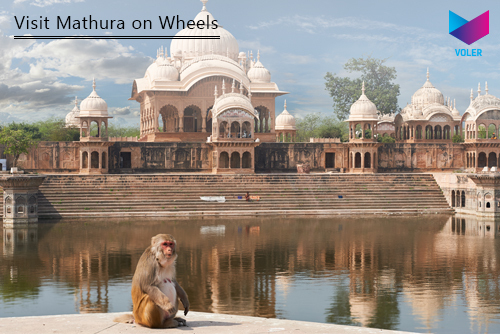 Easily accessible by road, Mathura is equidistant from both Taj Expressway and Kundli-Manesar highway. The holy soil of the city reminds you of the imperial tales of Lord Krishna. The vibe resonating through the temple roads will fill your heart with unmatched pristine and peace. It is a perfect for a weekend getaway in divinity. With trusted car rental services in Delhi, you can plan the 2-3 days visit to the cities of eternal love and spiritual connect comfortably. 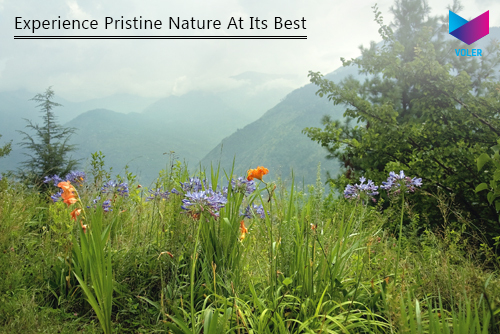 It is a hidden gem under the wraps of Himachal. Enjoy the company of your beloved in a place of blue skies, abundant verdure, and raw beauty. Nestled amid the formidable Himalayas, it gets it's name from Tirthan River, a tributary of River Beas flowing all across the Himachal. To come home to the beguiling beauty of Tirthan, you have to traverse the good old Chail, Narkanda & AUT tunnel and it gets newer every time you look at it. It is a befitting place for honeymooners and newlyweds. It offers a plenty of beautiful home stays and cottages at affordable prices. This is one 'must do' that every couple swears by, 'The Taj Mahal'. This piece of architectural intelligence has time and again proved itself to be the most traveled destinations so far. Thanks to the Taj Expressway, Taj Mahal is a less than 3 hours drive from Delhi. 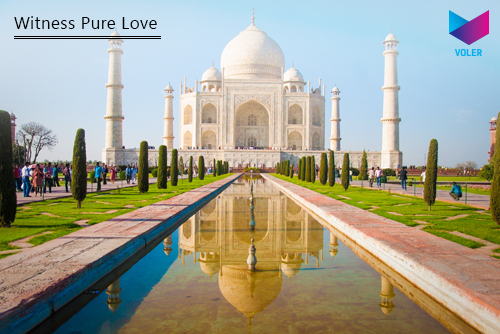 A visit to Taj Mahal on a full moon night is undeniably the most enigmatic thing a couple would experience.